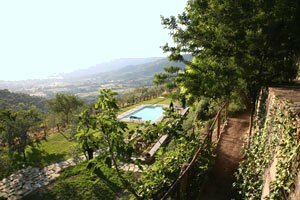 Surrounded by the olive trees that cover the gentle Tuscan hills, the 18th-century villa (12 beds) stands close to Cortona, an ancient town of Etruscan origins situated in Valdichiana, in the province of Arezzo. 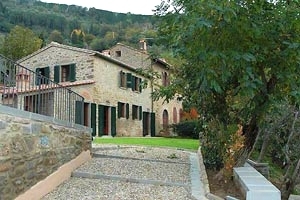 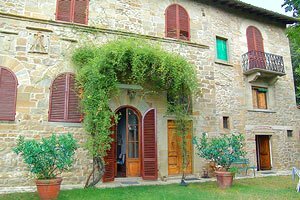 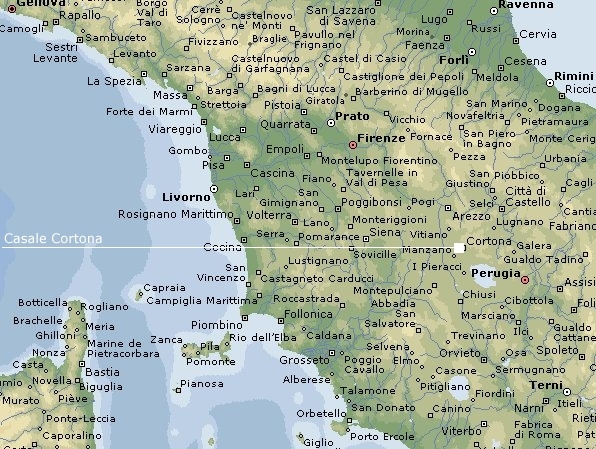 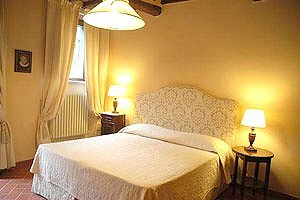 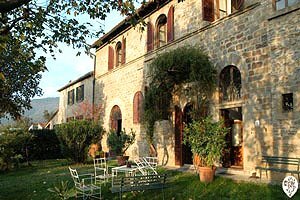 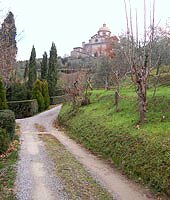 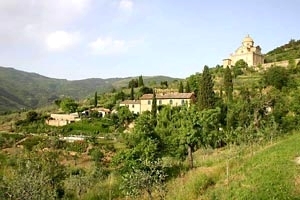 Due to its geographical position, the property is an excellent starting point for excursions to many Tuscan and Umbrian cities of art and culture, such as Florence, Assisi, Perugia, Siena, Montalcino, Pienza and San Gimignano. 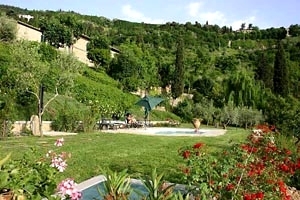 With its famous spas, Chianciano Terme lies in the vicinity of the villa, as well. 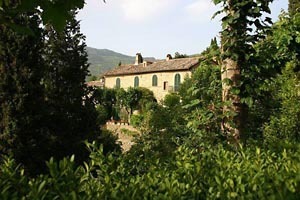 Those who love living in the open air can hike along the numerous trekking paths surrounding the villa. 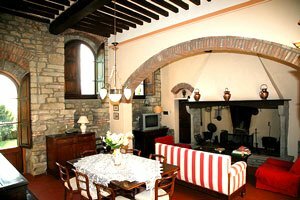 The structure is composed of the main villa (Villa) and of an adjoining annexe apartment (Casale). 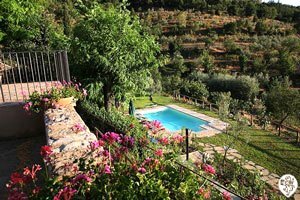 In the garden that surrounds the building there are three tiled terraces, where guests can relax under the Tuscan sun or eat al fresco, using the barbecue equipment and the wood-burning oven for preparing tasty pizzas. 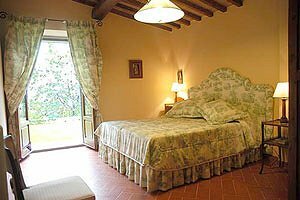 Situated on a lower level than the house, the swimming pool is at guests` disposal. 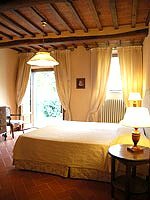 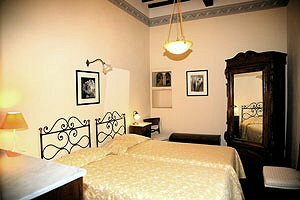 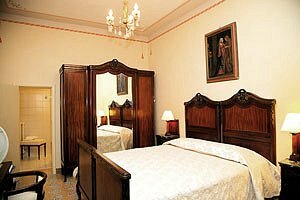 With their beamed-ceilings, the terracotta-tiled floors and the decorative brick archways, the rooms are commodious and full of light and are furnished in a particularly elegant style. 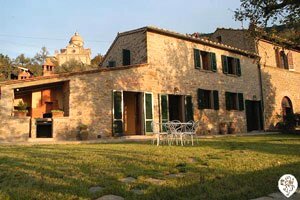 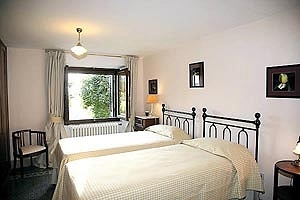 The structure is provided with all comforts (satellite TV, heating system, washing machine, dishwasher and phone). 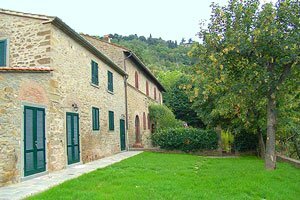 Additional service maid and cook for personalised meals upon request. 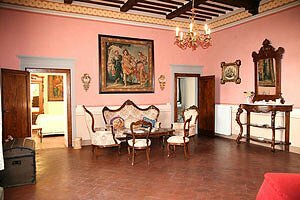 The structure (6 double bedrooms and 6 bathrooms) is divided into the main villa (Villa) and an adjoining annexe apartment (Casale). 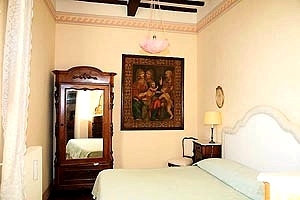 The rooms of the Villa (8 beds - 4 double bedrooms and 4 bathrooms) spread out over two floors. 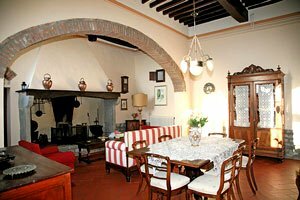 On the ground floor there are a living room with big fireplace, brick archways and French doors opening onto the garden, the fully equipped kitchen and 1 toilette. 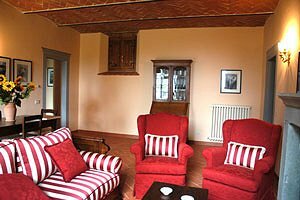 On the mezzanine there is 1 bedroom with two single beds and en-suite bathroom. 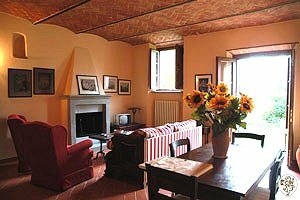 On the first floor there are a second living room with fireplace, 2 double bedrooms (one with en-suite bathroom), 1 bedroom with two single beds and 1 bathroom. 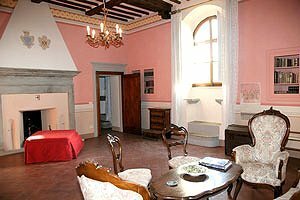 A solarium area accessible both from inside and outside the building completes the Villa. 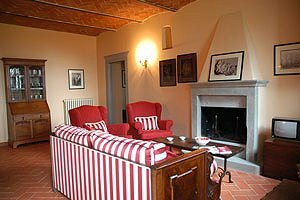 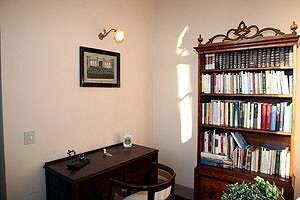 The Casale (4 beds - 2 double bedrooms and 2 bathrooms) is divided into a living/dining room with fireplace, 6-seater table, Art Nouveau-style dresser with writing desk and antique sofa and armchairs, fully equipped kitchen, 2 double bedrooms and 2 bathrooms (one with shower and bathtub and one with shower).